From Rupi Kaur, the top ten Sunday Times bestselling author of milk and honey, comes her long-awaited second collection of poetry. Rupi Kaur is a poet, artist, and performer. Her works have taken the literary world by storm. Her second book, the sun and her flowers-an instant global bestseller, is an artistic sibling to her debut, milk and honey-one of America's bestselling books of 2017. Rupi sees her work as an articulation of this vision. She's an eternal artist. At the age of five, her mother handed her a paintbrush and said, "draw your heart out." At seventeen, she happened upon a local open mic night where she performed her first spoken word poem. She fell in love with performance poetry that night. Rupi continued performing across Canada, while building a community of readers and poetry enthusiasts. While studying at the University of Waterloo, Rupi wrote, illustrated, and self-published her first collection, milk and honey. In the years since, milk and honey has become an international phenomenon. It's sold over 3 million copies, been translated into more than 35 languages, and landed as a #1 New York Times bestseller-where it has spent more than 100 consecutive weeks. Rupi explores a variety of themes in her work ranging from love, loss, trauma, healing, femininity, migration, and revolution. She's a storyteller and chronicler-a repository of community and history. There's a simplicity and nuance to her work that has found a home in the hearts of millions. This magic is captured in her stage performances, which are magnetic musical interactions of poetry, art, and theater. 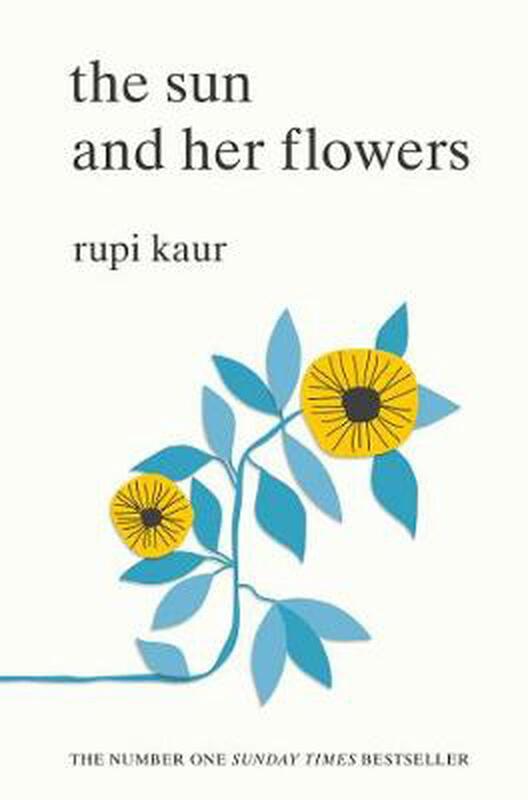 Rupi's long-awaited second collection, the sun and her flowers, was published in 2017 and debuted as a #1 global bestseller. Within the first three months it sold a million copies and was embraced by readers worldwide. She's a Forbes 30 under 30, an editor of the 2016 Mays Literary Anthology of New Writing from the Universities of Oxford and Cambridge, and one of BBC's 100 Women. Rupi hopes to continue her artistic exploration through art and poetry-searching for ways to understand and articulate.